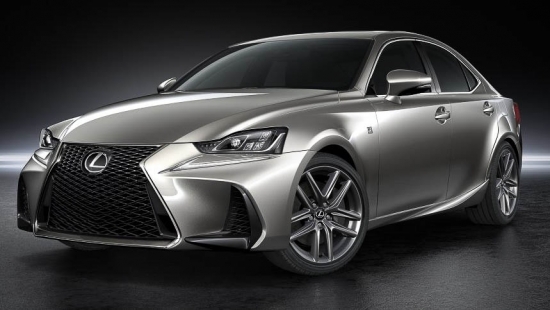 Lexus’ current generation lineup of cars has taken on a very aggressive and angular design philosophy which strikes a great balance between performance and luxury. The current generation IS has been in production since 2013 and was due for a face lift. The new IS debuted at the Beijing Auto Show and the face lift brings in an even more aggressive profile The front facia has a much larger center grille and vents. Lexus redesigned the headlights of the new IS incorporating LED daytime running light bars. Engine choices remain the same with base four-cylinder turbo which generates 241hp and a top of the line 3.5L V6 that pumps out 306hp. Audi is refreshing their entire lineup with a few exterior enhancements which give the car shaper angles and overall more aggressive lines. Buyers will get the most enjoyment of the new A3 when they step into the cabin and step on the throttle. 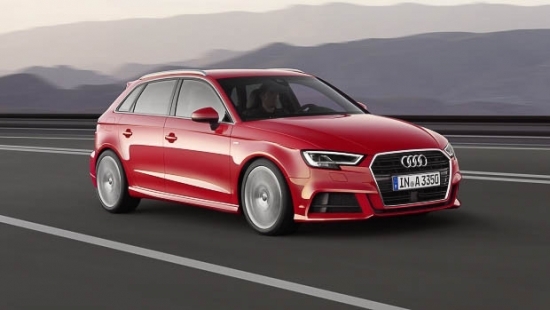 Audi is offering the entire line of new A3s with their next-generation virtual digital cockpit. The central display on the car provides all the engine vitals, and can shift and provide you all the car’s infotainment information. All of this can be managed by the hand controls on the steering wheel. New for the A3 is the luxury option of massage front seats. A perfect companion for a long road trip. Audi’s all new three-cylinder, 1L ultra-efficient turbocharged engine isn’t going to be the performance king in a straight line, but it definitely rewards owners with some amazing fuel mileage. Other engine options include a 2.0L TFSI or the tuned up four cylinder turbo motor in the S3. Toyota debuted their refreshed Highlander at the New York Auto Show today. The Highlander is Toyota’s mid-sized SUV that packages luxury, comfort, technology and capability all into one very capable vehicle. For the upcoming iteration of the Highlander, Toyota redesigned the front of the vehicle to give it sporty yet refined appeal. The Highlander now sports an aggressive low slung front grill set of by horizontal bars which make the car look wider than it really is. The fog lights are now housed in a much larger vent opening which is taller than the last generation. The front of the Highlander now vaguely resembles the design elements from the new Lexus lineup. For 2017, the Highlander will get three new exterior colors: Celestial Silver Metallic, Toasted Walnut Pearl and Salsa Red Pearl. 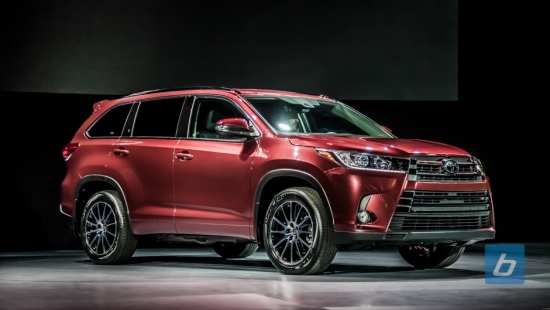 Different trim levels of the Highlander will also receive different levels of chrome or painted accents. Toyota will be offering the 2017 Highlander with two engine choices. First is a 3.5L V6 which will be paired with an eight speed automatic transmission as standard. The design of the new V6 balances both power delivery and fuel economy. Further fuel economy is achieved by integrating a start and stop feature with the V6 engine package. Toyota will also offer a 2.7L 4-cylinder that will be mated to their six speed automatic transmission. Well lookey what we have here? Wait…I’m still looking…. 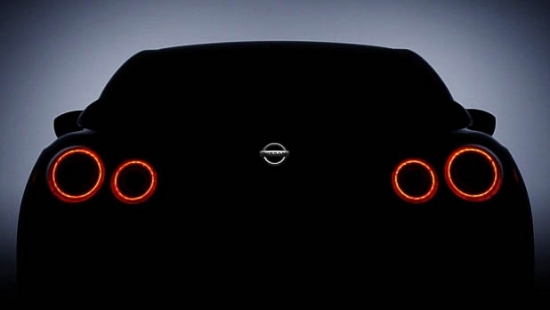 Well it appears Nissan is teasing us with an image of a refreshed GTR ahead of the New York Auto Show. The problem is that the teaser picture doesn’t really show much other than the backside of the GTR hinting at again not many changes going on. Currently, not much is know about the refreshed GTR. Power output is expected to stay the same at 545hp and 463lb/ft of torque, meaning the same driveline will be in the most current generation. Even though what’s to come will be minor visual changes to the GTR, the fact still remains that this is an extremely capable vehicle. The GTR has made a very successful run over the last 8 years. If any future changes are to come for the platform, it will likely be a completely revised and redesigned vehicle. Here’s hoping we’ll see something like the Nissan Concept 2020 Vision Gran Turismo in the near future. Mercedes has given their ever popular CLA45 AMG a refresh for 2017 which they will debut at the upcoming New York Auto Show. The CLA vehicle across all of the trim lines is a very popular car among Mercedes buyers. The physical refresh will be giving the CLA a more subdued appearance. The front facia is a little bit softer around the edges than the previous version with matte titanium grey color coding in the splitters. However, the bumper does get some rather aggressive canards which are framed in a gloss black paint. The rear receives a revised diffuser that now has added aero via four extra fins. AMG is offering an aggressive aero package which adds a low front splitter, additional canards and a rear spoiler. 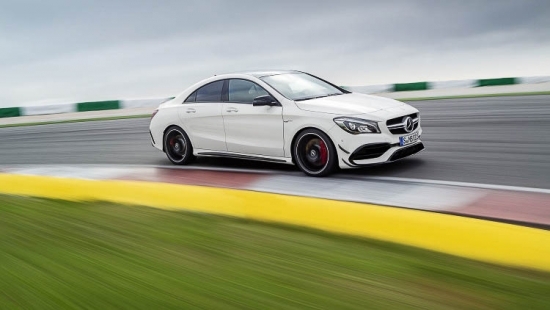 The CLA45 AMG will continue to use a 2.0L turbo engine that produces 375 hp and 350 lb/ft of torque delivering power to the wheels via a seven-speed automatic. The refreshed CLA45 AMG will debut at the upcoming New York Auto Show and will hit the showrooms before the end of the year. The current Mazda CX-5 is a little gem of a car that delivers a great bang for the buck. It’s a great driver’s car packed together with wonderful finishes and features. So when Mazda decides to do a small refresh and give customers even more goodies, well that just the icing on top. For the half year refresh, Mazda will give the CX-5 LED lighting which is become standard features among its competition in the same class. Also, look for enhancements to the in car infotainment system, navigation on the higher trim levels, and cushy heated front seating. 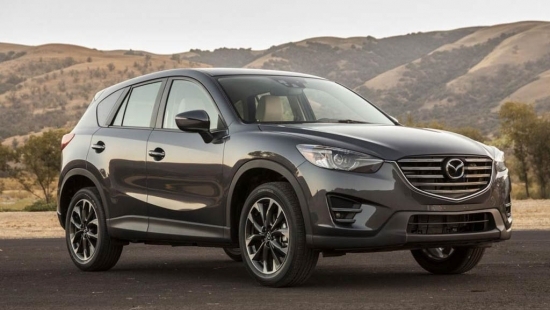 It is expected that the CX-5 will move upwards slightly with the base model starting at $22,695 and tops out at $30,770 for the fully loaded Grand Touring. As mentioned in our C-MAX preview, Ford brought the updated C-MAX for the public unveiling here at the Paris Motor Show. The front and rear of the car has been significantly reworked, giving the C-MAX a modernized look to help against its competition. A new turbo diesel engine, as well as start/stop technology helps the C-MAX lower fuel consumption, while a host of safety and infotainment features round out the update. 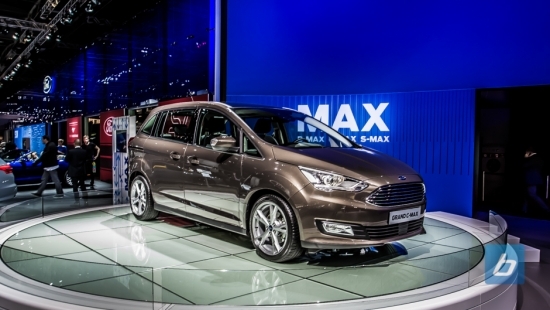 Check out the live photos of the refreshed Grand C-MAX after the jump. The CLS class, now 4 years into the second generation, gets its facelift for the 2015 model year this fall. A rework of the front end features a lower wing design much like the refreshed E-Class. New multibeam LED headlamps with the adaptive highbeam feature allows drivers to concentrate on the road, while the car adjusts lighting for changing road conditions. The rear bumper also gets the makeover treatment, with a more aggressive rear end featuring cooling exit vents. The changes in the cabin are fairly minor, with the biggest change being the move to the now standard iPad style screen already featured in the G, C, CLA, GLA and A Class. The COMAND navigation is upgraded with new online features that includes Google Maps integration, 3D satellite views, as well as internet based traffic information. Mechanically, the North American engine choices stay the same (the AMG non S model is no longer offered), while the non AMG CLS gets a new 9G-TRONIC 9 speed transmission which boosts fuel efficiency. DISTRONIC PLUS finally gets Steering Assist, which allows the car to drive itself in stop and go traffic up to 60km/h. 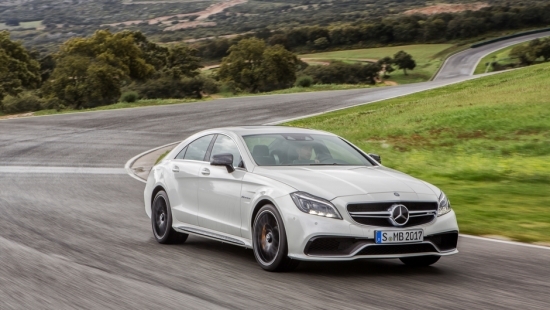 Expect to see the updated CLS in showrooms this September. 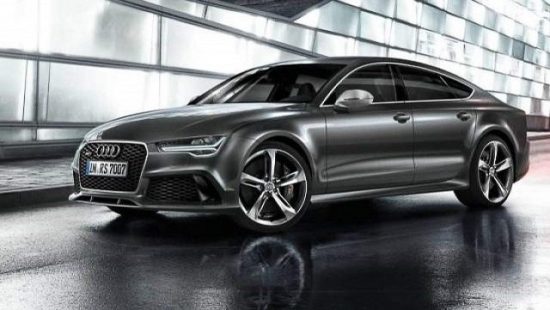 Sadly, the beautiful shooting brake shown in our gallery won’t make its way to North America. Click for more photos of the updated CLS. 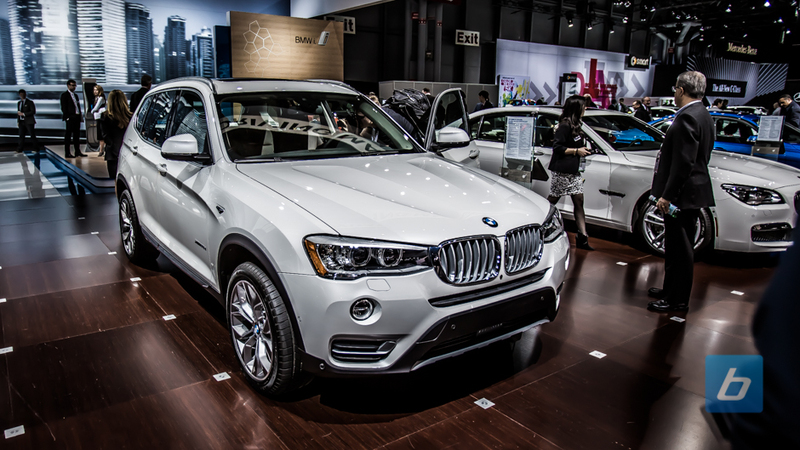 BMW revealed the refreshed X3 SAV (Sports Activity Vehicle) at the NYIAS today. A large number of enhancements have been made to the second generation X3. The most notable is a new range of drivetrain choices. For the first time in North America, BMW will be offering the X3 with a diesel engine in the X3 xDrive28d. This is the same 2.0-litre TwinPower diesel engine that is currently offered in the 3 series sedan and wagon diesel variants. Mated to the ubiquitous 8-speed ZF transmission, the engine produces 180hp and 280lb-ft of torque that moves the SUV to 60 mph in under 8 seconds. Returning to the lineup is the xDrive28i that will come with the 2.0-litre TwinPower gasoline engine producing 240hp and 260 lb-ft of torque and the xDrive35i with the 3.0-litre TwinPower gasoline engine producing 300hp.